Snakes, normally a reason to start screaming and running away. This snake on the other, will make you scream an run towards it. Because instead of a dangerous head with poisioness teeth this snake has a gorgious triangular crystal. Because of the special shape of the crystal and the flattened topside it creates a very visible shine and sparkle. Especially with the gold versions this is extremely well visible due to the high contrast of the crystal and the gold. 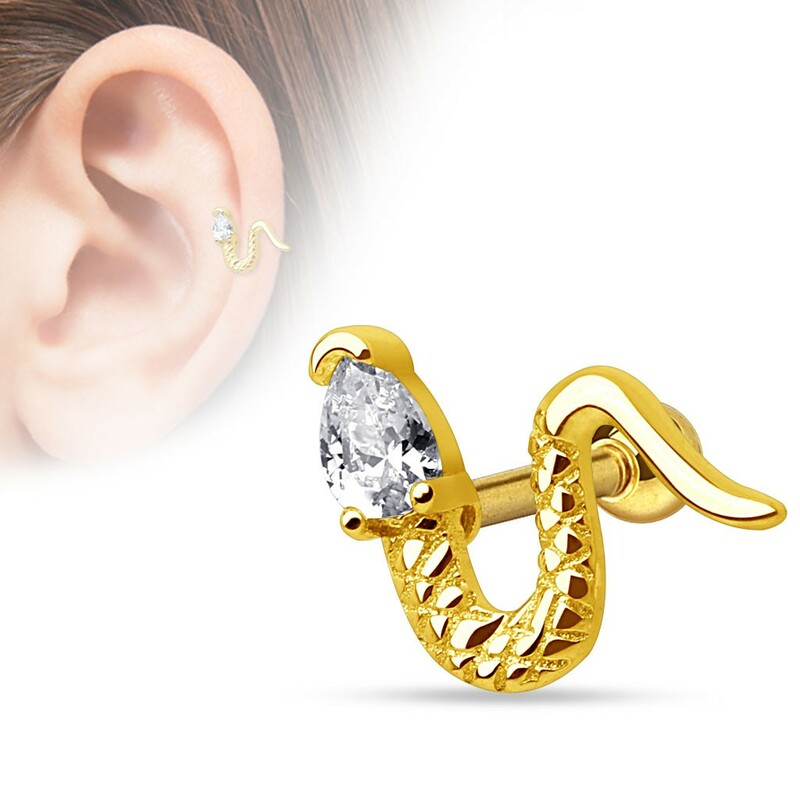 Another cool thing about this helix piercing is that you can wear it anyway you want. May it be with the tail to the left, to the right, up or down, this snake looks good either way. With a size of 1.3 by 0.8 cm also not too big and therefore suited for a lot of places on the ear.